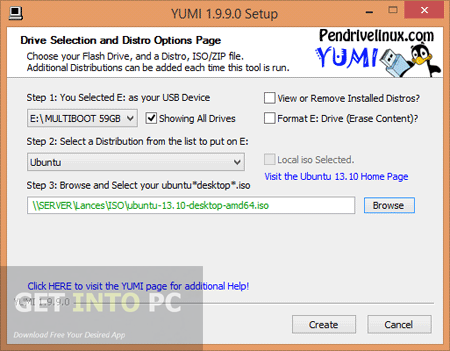 YUMI Multiboot USB Creator Free Download Latest Version for WIndows. It is full offline installer standalone setup of YUMI USB Creator for 32 bit 64 bit PC. 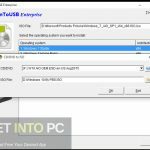 YUMI Multiboot USB Creator is a lightweight and portable application that can be used for creating multi boot USBs which contains multiple operating systems. 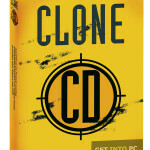 It also also contains antivirus utilities and tools for cloning discs. Though YUMI Multiboot USB Creator is very simple in its use but it is recommended that only advanced users use it for getting the full juice out of it. 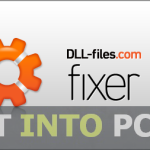 YUMI Multiboot USB Creator is an executable application and you don’t need to install it into your system. All you need to do is just drop the files into hard drive and run it. You can also save it to any USB drive or external drive so that you can use it on any system anywhere. What is required to check is that there is no Windows registry files left in your system once the application is removed from your system. The interface of YUMI Multiboot USB Creator has a very simple structure and the users can use it easily. All they need to do is to select the USB drive and then select the Linux OS from a long list provided. 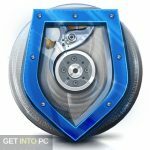 You can also add antivirus utilities which can be used for eliminating fatal viruses. Please note for simple bootable USB creation for WIndows you can Download rufus tool or Wintoflash. On a conclusive note YUMI Multiboot USB Creator is a very productive tool that can be used for installing multiple operating systems. 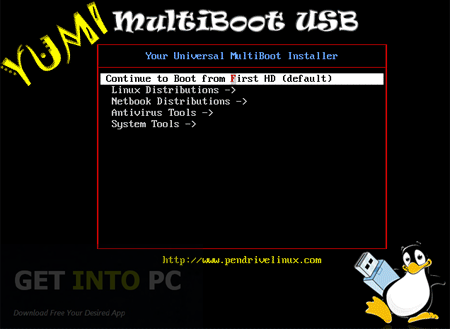 Below are some noticeable features which you’ll experience after YUMI Multiboot USB Creator free download. No need to install the application into your system. Can save it to external drives and USBs. 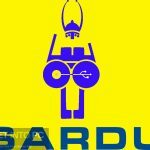 Can install multiple Linux operating systems. Before you start YUMI Multiboot USB Creator free download, make sure your PC meets minimum system requirements. 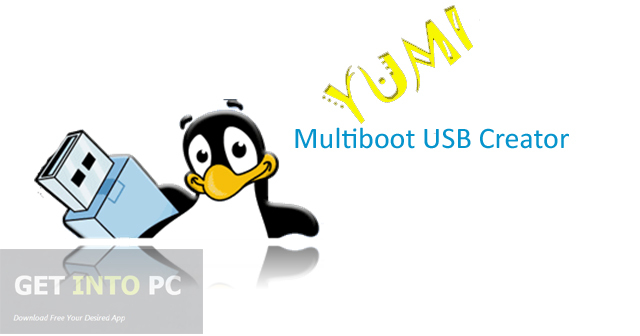 Click on below button to start YUMI Multiboot USB Creator Free Download. This is complete offline installer and standalone setup for YUMI Multiboot USB Creator. This would be compatible with both 32 bit and 64 bit windows.